No more digging in your bag for keys. 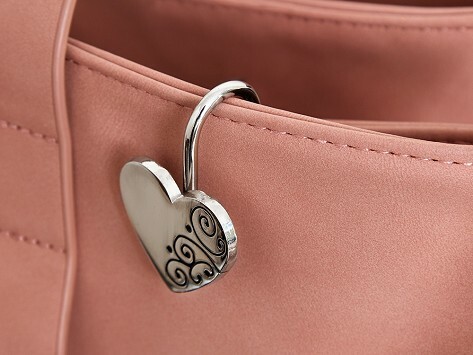 This purse key hook lives on your keys so you can hang them on a handbag in the best, easy-to-reach spot. Now keys are made accessible on the inside of the bag, and all you see on the outside is the design of the hook. How easy is that?